Todo na talaga ‘to. Muli ay nakatisod na naman kami ng mga larawang sadyang nagpapaalala sa aming nakaraan. Mga kuha ito sa Baguio, noong kapanahunan ng aming pagiging kasapi ng Young Men’s/Women’s Christian Association. (Pakipindot na lang para lumaki). Those who have seen Alejandro Gonzalez Iñárritu’s “Babel” can definitely appreciate what we mean if we compare our search for our missing classmates to this Academy Award-winning film. The movie begins with an incident in Morocco, which will later have a profound effect on other persons living in the United States, Mexico and Japan. Consider now our search for Yoly Mañalac. Jeddah-based Eric Macatangay visited a batchmate of ours, Reginal Cruz (IV-3), in Manila, and asked him if he still had any communication with Yoly. The meeting produced a calling card, the content of which Eric immediately sent to Lito Parungo in Amsterdam. Lito, for his part, shared it with Dado Dizon in Los Angeles, requesting him to call up our Jersey-based classmate. While “Babel” has a tragic ending, ours had a happy one, with Yoly getting in touch with the three peps. Yoly Mañalac, our New Jersey-based classmate, is celebrating her birthday tomorrow. Unfortunately, we haven’t been successful in finding her. 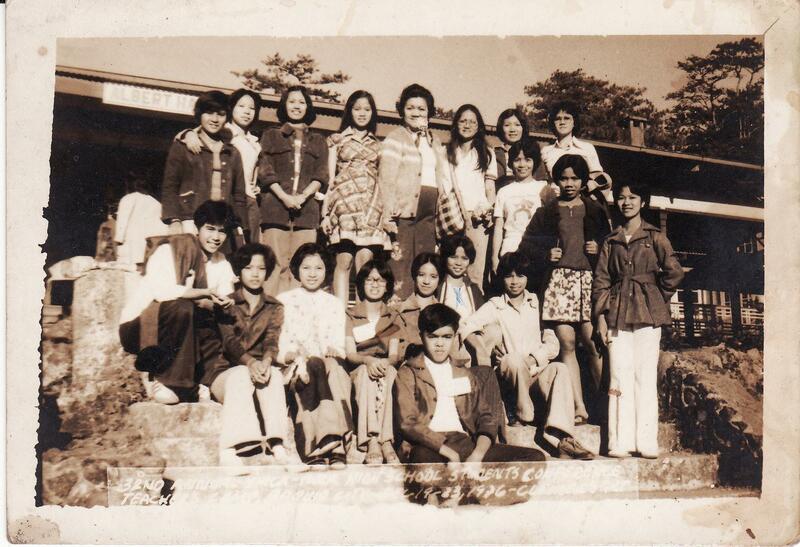 Yoly’s photo here was taken during one of our trips in Angono sometime in the early ’80s. Yoly, now Mrs. Salen, and her family moved to the United States a few years after her graduation from the University of the Philippines where she studied linguistics. Wherever you are, dear classmate, happy birthday. HInahanap ka pa rin namin, ‘kala mo. Mel Abas also in New Jersey? Could it be that Mel S. Abas is also in New Jersey? Our search for this Kapampangan classmate of ours has led us to the search engine above, which we also used to look for Yoly Mañalac-Salen. While Yoly is based in Jersey City, this “Mel” is a resident of East Rutherford. Calling on Dado Dizon, here’s another assignment for you. Mel’s telephone number is not listed. So we really have to pay a one-time fee to access his address (as well as that of Yoly’s). 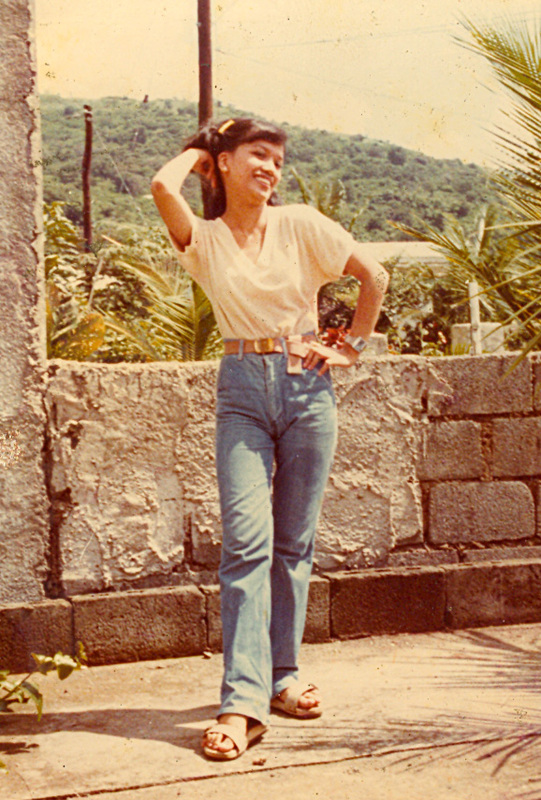 After informing us about Ariel Dimacali’s whereabouts, Eric hit another “jackpot” by locating Yolanda Mañalac (now Salen). Yoly is in New Jersey. Eric’s search has brought him to http://www.intelius.com/, probably the same commercial people finder that Keith was telling us about recently. Intelium has Yoly’s address and telephone number, but you have to pay a certain amount to access their database. Paging Dado … Would it be easier for you to pay Intelium for Yoly’s contact information? Or is there any other way to get her number, say consulting an online version of Jersey City’s phone book?